When Doris joined the advertising department of Yachting Magazine in 1967, she was not yet a sailor. “Everyone around me came in on Monday mornings tanned, smiling and exhilarated, all because of sailing,” she reports. Doris asked her co-workers where to go to learn to sail, they said Offshore Sailing School, and the rest is history. In 1969, she married the school’s founder, Steve Colgate, and “the school,” she says. 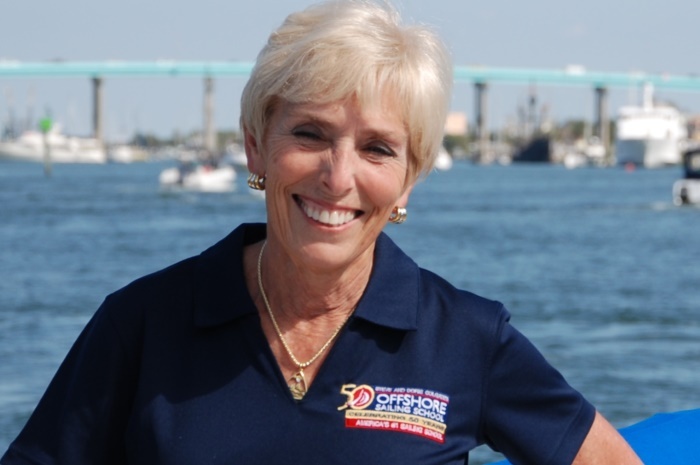 In 1970 Doris joined the business full time as Vice President, rose to President in 1978, and became President and CEO in 2001.
in leading close to a 100 flotilla cruises for graduates all over the world. When the Colgates bought their 54’ ocean racer, Sleuth, Doris vowed she would go on every race – missing one TransAtlantic and the ’79 Fastnet Race. Two years later when Sleuth returned to Cowes on the Isle of Wight for another week of intense racing, culminating in the Fastnet Race from Cowes to Plymouth, “we had very light wind, unlike the 85+ knots Steve experienced two years earlier,” she says. Whenever they can get away now, the Colgates head to the British Virgin Islands or another slice of paradise to cruise. awareness of sailing among women and help women build confidence in their sailing skills. That same year she introduced “You Can Sail Escapes” to provide all-women training programs through Offshore Sailing School. Learn more about Sailing Lessons for Women today! 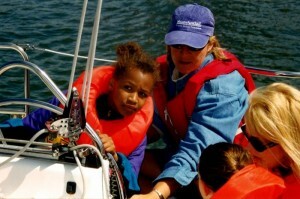 In 1991, Doris launched AdventureSail – a mentoring program for at-risk girls. 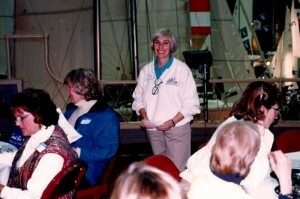 In 1997, she established the Women’s Sailing Foundation (WSF), a not-for-profit organization dedicated to enhancing the lives of women and girls through education and access to the sport of sailing. 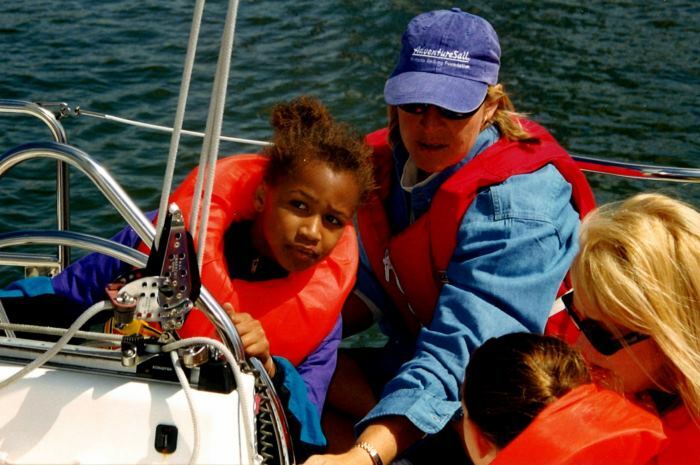 At right is an AdventureSail event in Oakland, CA for at-risk girls, with US Sailing Paralympic coach, Betsy Allison, teaching girls how to drive a sailboat. No longer actively involved with NWSA/WSF other than to be on its Advisory Committee, Doris can happily report that both organizations are going strong with continuous leadership from dedicated women who sail. But her interest in getting kids sailing at an early age goes on. 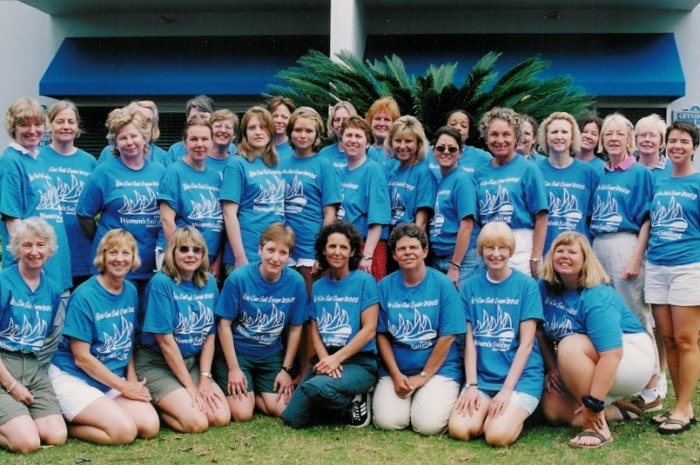 In 2013, Doris set up a Team Building and Learn to Sail program for the Cypress Lake Middle School in Ft. Myers, Florida. This event introduced sailing to boys and girls with emphasis on learning how to successfully work together on the water. inspiring keynote speech to 125 women who were participating in the 10th Conference conducted by the Women’s Sailing Foundation, which was also celebrating its 21st anniversary. She has been a key speaker at several International Sailing Summit (ISS) events, and is often asked to speak about her sailing experiences at yacht club and other venues. 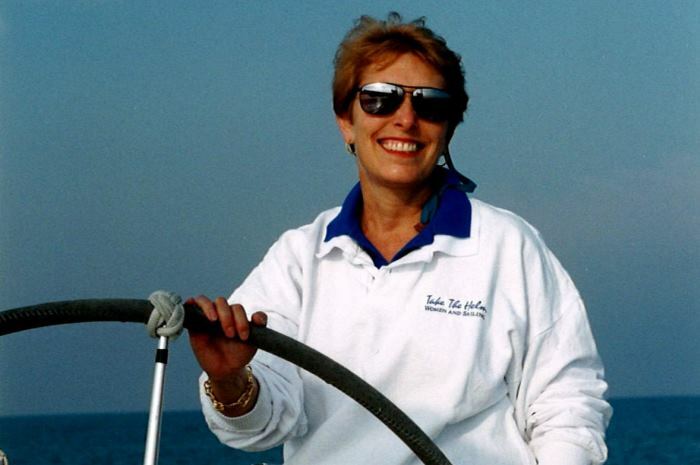 For 15 years, Doris also owned and ran retail stores at Offshore Sailing School locations. Called On and Offshore, at her “retail peak” she and Steve owned five stores in Naples and Captiva Island, FL before selling that company to a friendly competitor. As the buyer, Doris focused on resort wear, swimwear, footwear, sailing apparel and gifts for men and women; kids clothes and gifts too. 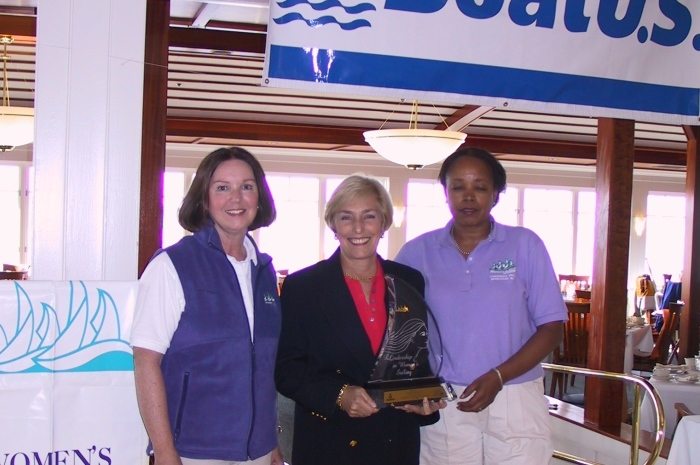 In 1994, Doris received the Betty Cook Memorial Lifetime Achievement Award from Boating Magazine and International Women in Boating for her work in the marine industry. 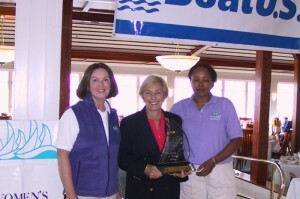 In 2004, Doris received the Leadership in Women’s Sailing Award sponsored by BOAT U.S. and NWSA. 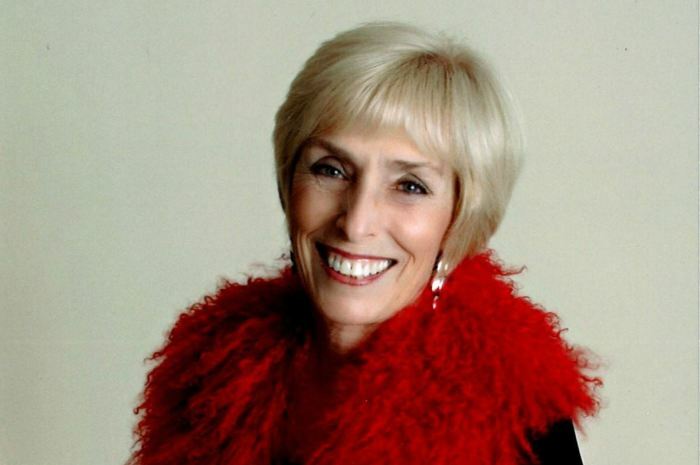 In 2019, Doris will be honored as a Pace Center for Girls, Lee County, Florida Grande Dame. The Pace Center is a Florida statewide organization that provides girls and young women opportunities in education, counseling, and training. Doris will be recognized for her business leadership, community service, and philanthropic efforts at the Grande Dames Tea in Fort Myers in March, an event that attracts hundreds of women in support of education and counseling for girls. In April 2014, Doris was featured in Grandeur Magazine. She is listed in Who’s Who of America, Who’s Who of American Women, Who’s Who in the Southeast, Who’s Who in Education, Who’s Who in Finance and Who’s Who of the World. 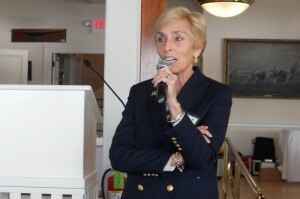 A member of the Royal Ocean Racing Club and former chairman of the Commercial Sailing School Committee for US Sailing, in 2014 she retired from 17 years on the BOATU.S. National Advisory Council. 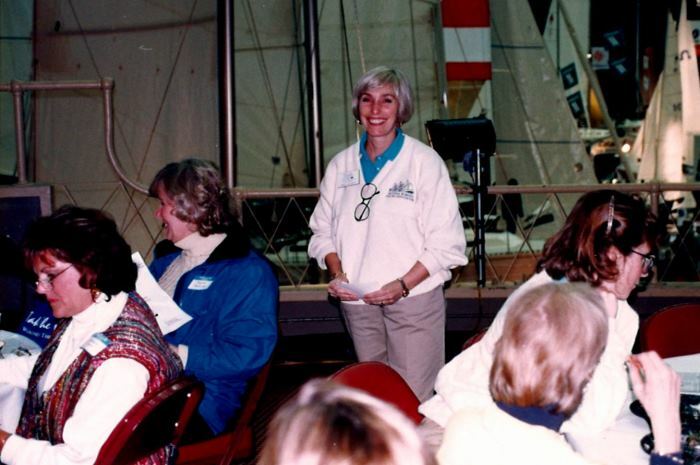 Doris served as a member of the Board of Directors of Sail America, the sailing industry association, from 2000-2006, was on Sail America’s Marketing Committee and is US Sailing’s Commercial Sailing School Marketing Committee for many years. 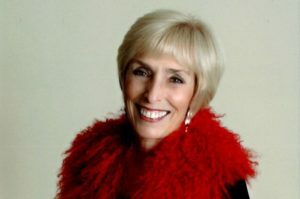 Doris is back on the Florida Repertory Theatre’s Board of Directors, having served 8 years on that board in the past – fulling another of her passions, supporting theater and the arts. To talk to Doris please call 888-454-7015 or her direct line at 239-985-7511 or email Doris@OffshoreSailing.com.